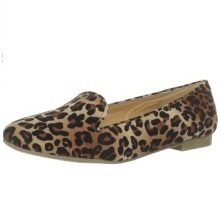 Whatever your mood, you can find a style that’s right for you with this Leopard print flat from Rampage. The Lenka features a fabric upper that is available in multiple colors and styles to transform your look in an instant. Beneath, a grippy manmade sole delivers a steady, falter-free step wherever you go.